This summer, I visited the town of Varberg and its museum where I saw a very old, very famous and historically significant corpse – the Bocksten man. 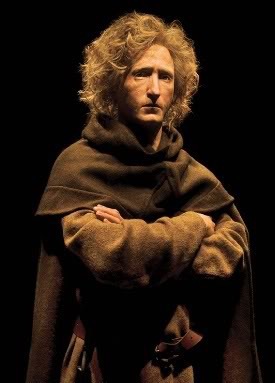 This man was found well-preserved in a peat bog in the 1930’s and he dates from around 1350 making him one of the oldest, best preserved findings of this type in the world. A weird thing about Mr Bocksten is that his clothes were miraculously in tact and he has a full head if hair. It’s a rather creepy site to see his flowing blond locks on top of his skull. Lots of theories abound regarding him. Was he murdered? It seems so. Was he an envoy to the pope? Maybe. A tax collector? Likely. Was he a vampire? Possibly. The final theory is backed up by the fact that the body was discovered with poles staked through it so that he would not rise again after death. 700 years after his death, a team of experts reconstructed the corpse’s face and gave the Bocksten man an eery appearance. When you stand in front of the cabinet containing this reconstruction, he stares right back at you – his eyes full of history and woe. 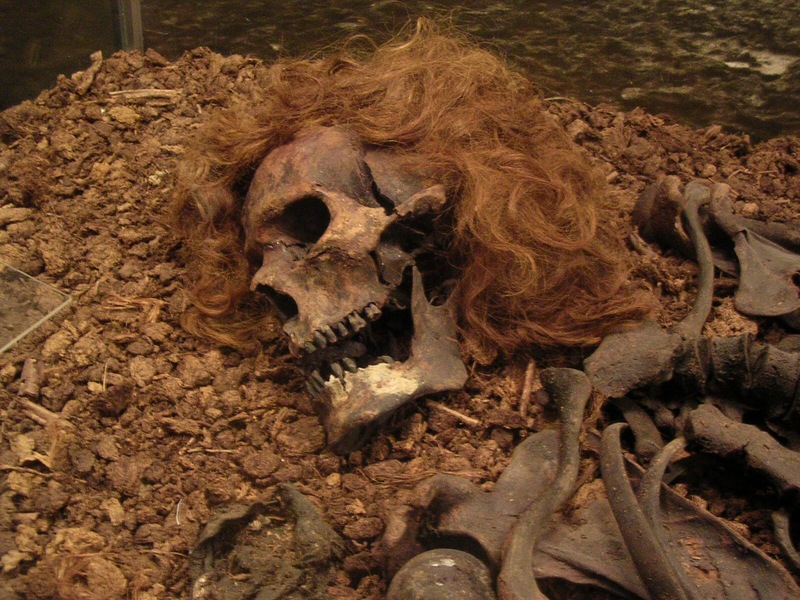 I remember at school learning about the similar, but even older, Tollund Man in Denmark and other corpse findings in peat bogs in England and Ireland. I don’t recall learning about the Bocksten Man however, which is strange considering how well preserved and how important the finding was. I’m so glad I got the chance to discover it now, and learn about another dimension if Swedish history and culture.